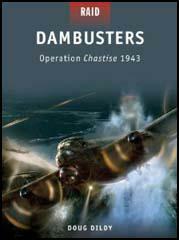 Guy Gibson was selected to take part in Operation Chastise (also known as Dambusters Raid). The targets were the three key dams near the Ruhr area, the Möhne, the Sorpe and the Eder Dam on the Eder River. It was hoped that the raid would result in the loss of hydroelectric power and the supply of water to nearby cities. The success of the operation involved precision bombing. The cylindrical bombs developed by Barnes Wallis had to be dropped from 60 feet to skip into the dam face and roll down it to explode at a depth that triggered a pressure fuse. The pilots had to judge the critical release point by using dual spotlights whose beams converged vertically at 60 feet. Meanwhile, Guy Gibson, Melvin Young, David Shannon, and Les Knight were involved in a dangerous journey to get back to England. Henry Maudslay had started off earlier after his aircraft had been badly damaged while bombing the Eder Dam. However, he was shot down close to the German-Dutch border. At 02.58 gunners at Castricum-aan-Zee managed to hit Young's aircraft. It crashed into the sea and all its crew were killed. Only 11 of Gibson's 19 bombers survived the mission. Eight aircraft had been lost and 53 flyers had been killed in the operation. Another three were captured and ended the war in prison camps. Guy Gibson was awarded the Victoria Cross for his role in the mission. However, to use the bouncing bomb, the pilots had to fly very low and 45 per cent of the planes used in the Dambusters Raid were brought down by German anti-aircraft guns. The RAF could not sustain such high losses and the bouncing bomb was rarely used again during the war. 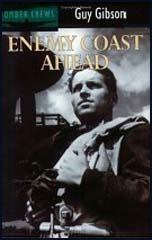 (1) In his autobiography Guy Gibson wrote about the training needed for the Dambusters Raid. When we had all got fully trained in our special form of attack we held a full-dress rehearsal which some few senior officers took an interest in. It was a complete failure. Aircraft went astray, some nearly collided, others went home browned off. The trouble was inter-communication. On attacks of this sort there must be no allowance for anything to go wrong, and things had gone wrong here. The radio-telephone sets which we were using were just not good enough. We would have to use fighter sets. When we got back I told the AOC that unless we were equipped with VHP the whole mission would be a failure. I told him that I had been asking for it for some time. He said. 'I'll fix it.' He was as good as his word. Within a few hours a party of men landed on the aerodrome and went to work. Next day the whole squadron was equipped with the very best and most efficient radio-telephonic sets in the whole of the Royal Air Force. And not only this, but my aircraft and the deputy-leader's had two sets on board, so that if one should go wrong we would have the other. The nature of Wallis's weapon made it necessary to attack the targets from a height of sixty feet, and this being so, even a small amount of opposition made such an operation extremely hazardous. At the time of the attack the Mohne dam was well defended, but the others were not, and it was clear that such an operation could not be repeated against similar targets if the enemy were to defend his dams at all strongly as he was now perfectly certain to do; in particular, it was extremely doubtful whether the operation could have been carried out at all if there had been searchlights on or near the dams. In any case, it was only possible to attack the dams during a short period of a week or two in any given year, when the dams were at their fullest. For these reasons no further attacks on dams were made with Wallis's weapon, though the Sorpe dam was attacked with heavy bombs at a later stage in the war; this attack also failed to breach it. attacked without effect by one aircraft on the same night - if so many aircraft had not been lost on the way to the target, and if the whole squadron had been able to attack. The breach of the Mohne Dam released a flood of one hundred and thirty million gallons, but the destruction caused by flooding was not, and was never expected to be, as serious as the subsequent shortage of water for industrial purposes. This shortage was most serious in the eastern districts of/the Ruhr, but the enemy still had the water from other reservoirs whose dams were unbroken and from wells. The Eder dam was primarily intended not to provide water for industry but to prevent flooding of agricultural land, to make the river Weser more navigable, and to supply some of the water for the Mittelland Canal. The dam held back 202,000,000 tons of water and the release of this flooded considerable areas in Kassel. Such a disaster, brought about by only nineteen aircraft, must undoubtedly have caused great alarm and despondency in Germany.